Microsoft, Blackberry and Nokia are the top leading technology companies around the world. Microsoft, Blackberry and Nokia all three of them manufacture mobile smart phone devices with their own Mobile Operating Systems. Nokia is the leading mobile manufacturing company among all these three manufactures. Nokia has in all 42 % of the market share where mobile devices are concerned all around the world, whereas Blackberry have 17 % and Microsoft lags behind with just 5 % market share. As Microsoft have not led the market with a very good impression with is Mobile Windows OS, they have again launched a new Mobile OS few days back, viz. Windows Phone 7. 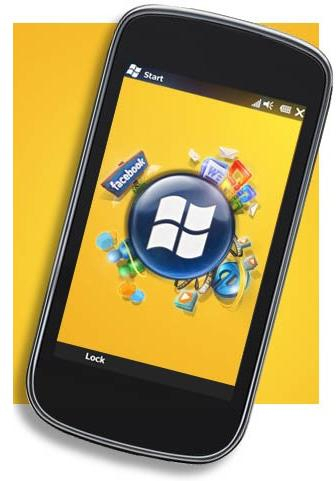 Microsoft have pretty well impressed the market with its new OS Windows Phone 7. If Microsoft wants to lead the market of the mobile smartphone devices, it have to change many a things of their manufacturing process. Say, they have to start from the very zero position and then move ahead, this will be a very big challenge for Microsoft to overcome, as till the time they will be in a new Avatar Google and apple will be surprising their customer with many new features in their smartphones. So, the better option for Microsoft is to buy out a leading Mobile Smartphone Manufacturing Company. As per the Market Analysis of the year ending December 2010. Don’t be shocked as really Microsoft have funds to buy out these companies and then plan a strategy to lead the Mobile Smartphone market. Flaws in LG Optimus One - Not Upto the Android Mark! !